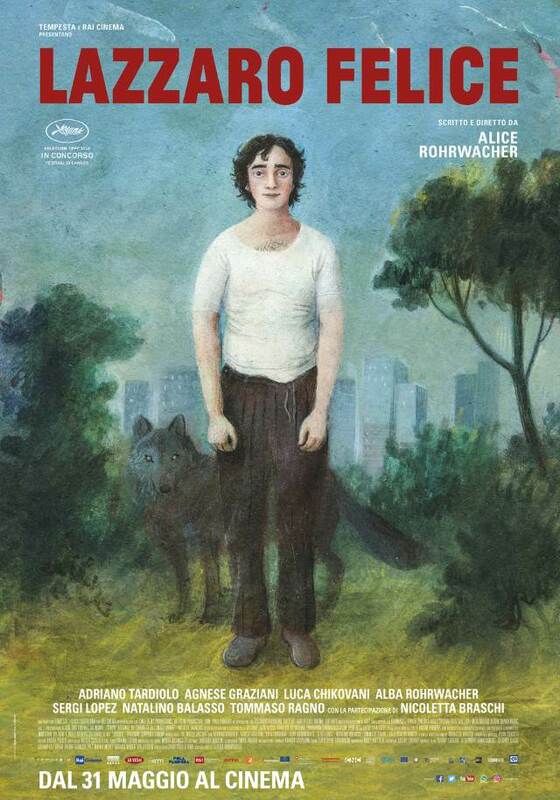 With Happy as Lazzaro, Alice Rohrwacher delivers a fable about goodness. She portrays Lazzaro, a young man who is only capable of goodness and knows nothing else. Using the conventions of the fable, she first places Lazzaro, her anti-hero, in a place where some peasants are exploited by a woman who has hidden to them social progress and take advantage of them and their credulity. Lazzaro is the one who is always willing to help anyone who needs it, without any thought about what he could gain from it, or even what he might want to do for himself. A man without ego, who is only living from his heart. The same young man is then propelled into the modern world, where, contrarily to the other characters from his past who have aged, he remains the same, same age, same appearance, same goodness. He meets again some of the characters from his past and, again, faithful to his nature and what he is, is trying to help them the best he can. His heart is untouched by wickedness, and he can only do what seems right given the situation he is in, without thinking about the possible consequences for himself. This film is extremely moving. It reaches a deep place inside of us, if this place is still open, where we know what our truth is, in spite of the modern world and the media who would like to make us think this truth doesn’t exist anymore. And the strength of Happy as Lazzaro is to bring us to that inner place, to show us that it always exists, whether we are aware of it or not. The film is beautifully shot, using 16 mm, which is for the director a way to renounce to an absolute control over the image and accept that the film will only reveal later what it captured during shooting. This process is a beautiful metaphor of what art can do to us: it shows us something, but sometimes what we really see is only revealed to us later. It resonates inside us but we become aware of that inner resonance at a later time, often through an emotional experience, a heartful and soulful resonance. The actor playing Lazzaro, Adriano Tardolo, had never acted before, and brings to the role its own innocence face to the film world. He doesn’t have any preconceptions about what acting is, and under the right guidance of the director, delivers a very truthful and moving performance, even in his body attitude, which conveys something of the abandonment to each moment and its needs. This is a film which I hope will have the place it deserves, the place of an artwork that can change our consciences. And it is very much needed.